We've been asked to make it simple: "Show us how to load a caulk gun". It's easy. We also have posts on How to Use a Caulking Gun, on the Best Caulking Guns, and on The Best Caulk (All Types). 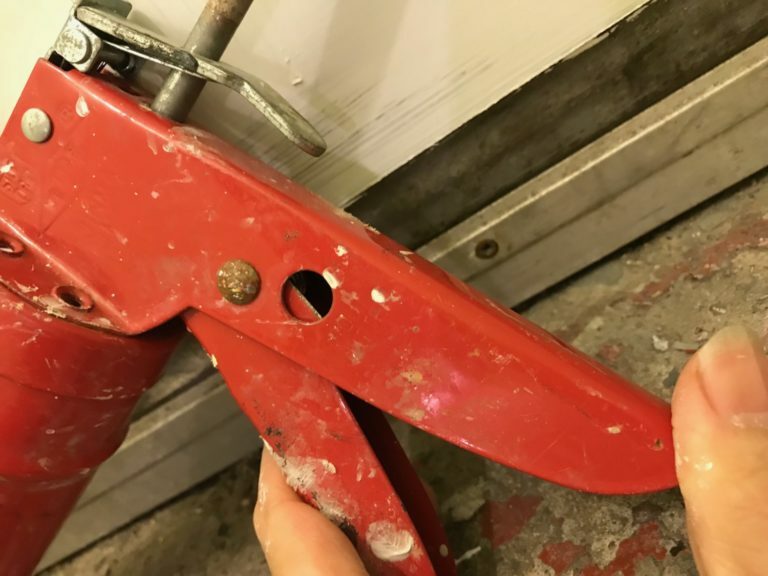 The cutter on a quality caulk gun never needs sharpening. 1. 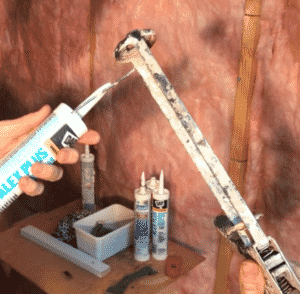 How to cut the caulk tip correctly: it depends on what you want to caulk! Cut the caulk tip close to a 45-degree angle with a razor sharp knife, or the cutter feature of the caulk gun (shown below). The size of the opening should be about the size of the cracks to be caulked (just an average will do). Start small and re-cut if too small. 2. How to break the seal of the caulking tubes and start squirting! The poker on this caulk gun is at one end, but many guns have it tucked into the handle. This step requires a long nail or ‘poker’ built into most caulking guns. Every caulk tube has a foil seal between the nozzle and the cylinder: you have to just put a hole in that foil and it splits under pressure when you start pumping. If your caulk gun has no poker, a coat hanger is perfect. Tip: Keep that sucker clean! If you need to see more, we have a video at the end of this post showing how this is done! 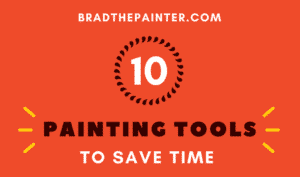 Start with a small opening for most painting work. If you have large gaps, do them at the end – cut your opening larger just for them. For silicon caulk and tubes of glue, have disposable rags handy to wipe off the poker (and the excess waste later). Clogged caulk tube? 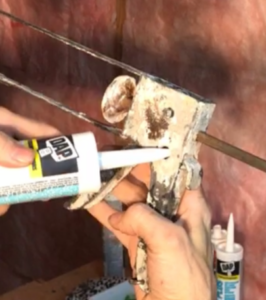 See the video at the end – you can save it by poking a hole in the side of the caulking tube. Also included: a short section on how to caulk without a caulk gun! 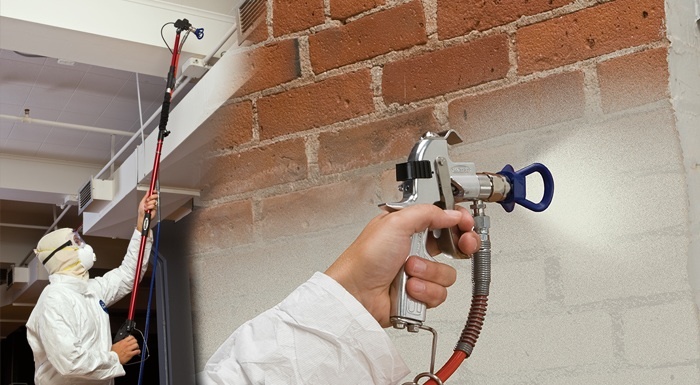 Our look at the Best Caulking Gun is exactly that. We’ve gone through a lot of guns over the decades.